Whether you are a new runner or have been running for some time, you know how much good it does for your cardiovascular fitness and general well being. 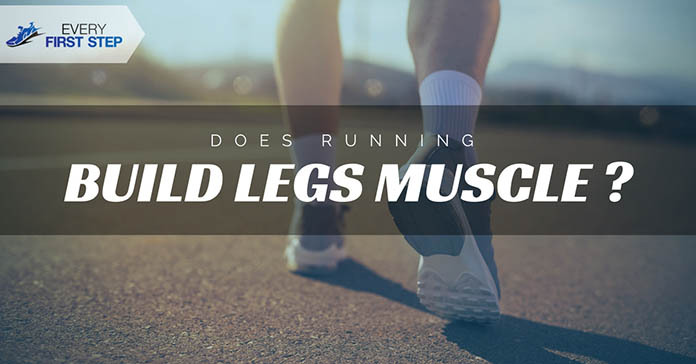 There may still be some questions you have in mind like - Does running build my leg muscle? or Can I get rid of the fat between my thighs with running? Knowing the answers to these questions will help you tailor your running program in a way that gives the best benefits. Read on to find the answers. Does Running Build Leg Muscle ? #1. O﻿﻿nly ﻿﻿Long Run Is Enough ? How Long You Spend Running ? In a nutshell, yes running can build leg muscle and it can help get rid of the fat between your legs but in order to get these results, many factors need to be considered. #1. Only Long Run Is Enough ? Many have come to believe that in order to lose fat and gain muscle, they need to run for at least two hours daily and cover up to eight miles. This is not true. The result such overtraining will have is blood and lactic acid will make your legs swell and appear bigger. After you heal, your muscles will grow bigger. This means that for you to be able to gain leg muscle through running, you would have to train really hard. This is because running puts no resistance on your muscles like weight training does so gaining muscle is not that easy. If you want to gain muscle through running, you would need to gradually increase the distance you run each week by at least a mile and also increase the pace. The more distance you cover and the faster you run, the better you will get. In time, it will not require much effort to accomplish your routine and your body will burn less and fewer calories from the same workout. What this means is what took you 1 hour to complete could in time only take 30 minutes and burn half the calories. The better you get at running, the less likely you are to lose weight or gain muscles. The only way to ensure muscle gain is to continue to challenge your body by increasing the duration and pace at which you run. Many opt to do muscle strengthening workouts to complement their running. ​The effect your running has on your leg muscles has a lot to do with which muscles are targeted during your run. If you are to tailor your workout to gain the most muscle, you need to know which muscles to target and how to do that. These lift and extend the knee while you run. The faster you run, the more these muscles have to work. If you want to slim your thighs, this is the muscle group to target with long distance runs. Runners usually have well-toned calves muscles because running constantly stretches these muscles and tones them. To develop strong hamstrings, long distance running can help keep flexible and strong hamstrings. The three mentioned muscles are categorized as either fast twitch or slow twitch muscle fiber. Fast twitch muscle fiber is the muscles utilized when doing fast paced runs such as sprints. These muscle fibers tire easily compared to the slow twitch muscle fiber. Slow twitch muscle fiber, on the other hand, is responsible for sustaining long distance runs. When you walk or jog, these fibers are utilized. In order to gain muscle in the desired part of your leg, you need to first determine which muscle fiber they are fast or slow twitch. Sprinters generally target the fast twitch muscles which are why they have bigger muscles. If you want to gain bigger thigh, then train with moderate repetitions for about 1-2 minutes. If you are aiming in lowering the fat in your legs, then train your slow twitch muscles by doing distance runs with higher repetitions, shorter rest periods and higher intensity. ​Although it takes quite some effort to build muscle while you run, it is usually easier to lose weight with running. If you mix your routine by including short and long interval runs, increasing your running time and running speed, you are more likely to lose weight. Along with these suggestions, remember to reduce your calorie intake and also incorporate the aforementioned strength exercises to help you lose weight. How have you built leg muscle through running? Which exercises have been most effective? We’d like to hear your thoughts in the comments below.